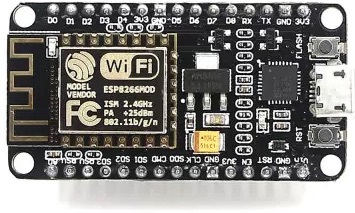 The NodeMCU is an open-source firmware project for the low cost ESP8266 which includes an Arduino interface. ESP8266 Home Site Fairly difficult to find useful things. But maybe this will change. Adafruit ref: Installing ESP8266 as Arduino Note, this is for a slightly different board than the NodeMCU. There should be no problems with using USB. Pack Sender Tool very useful to debug TCP or UDP packets. Run from mac windows or linux. Wireless sniffer Potentially useful wireless sniffer debugging (or checking if environment is too RF noisy) on a Mac.